So this was an interesting week, more so towards the end. Check it out. 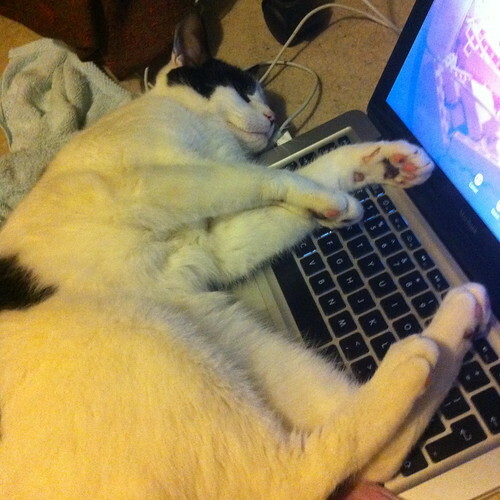 Axl gets tired surfing the web all day. 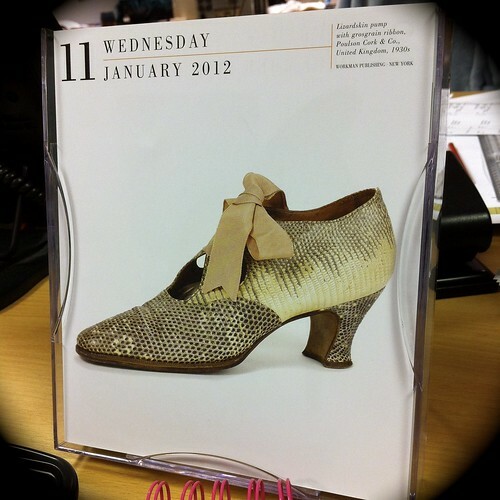 A 1930s pump on my 365 days of shoes desk calendar. Love this (thank you to my lovely bf for getting it for me). Axl being Axl. He’s weird. Nuff said. 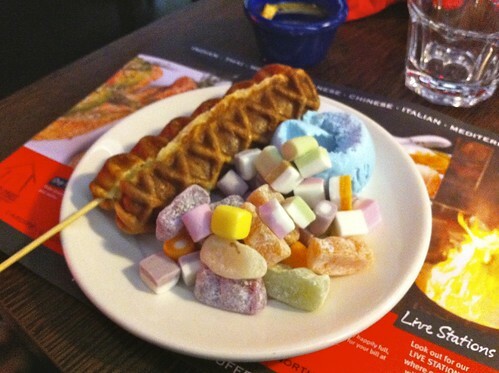 Went to the red hot world buffet on deansgate on friday night with the friend and bf. Was nomtastic. 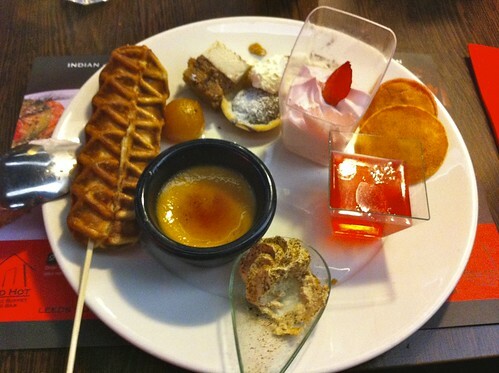 Just check out my desserts! Love the waffle on a stick. Yes, I am going out with what appears to be a child. The bf’s selections. All the delicious things and he went mental about the bubblegum ice cream. 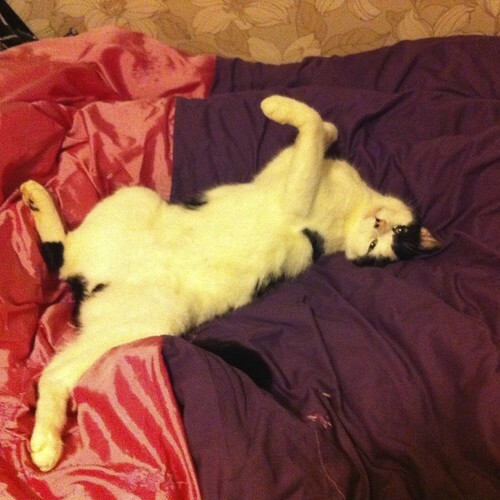 Didn’t believe me when I said there are loads of other places he could get it, lol. 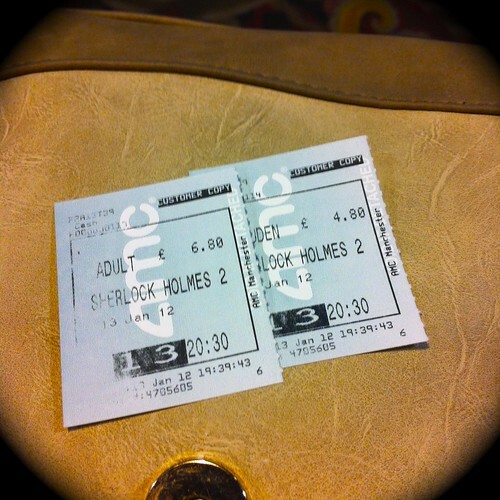 Finally saw the new Sherlock Holmes film. Made me lol. I recommend it. 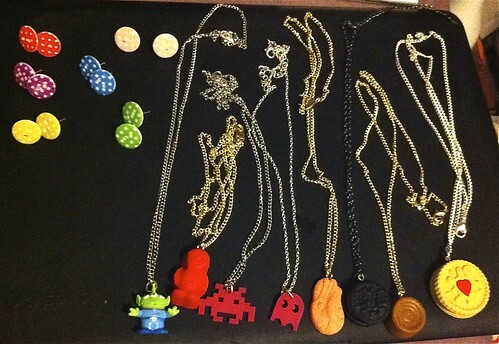 Saturday night spent making jewellery for my fair that was today. Like the charms? 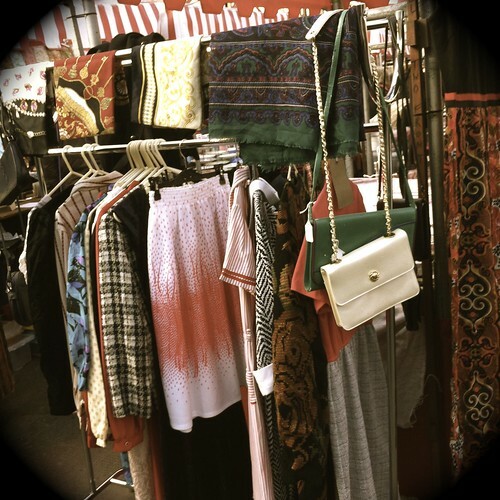 Part of my stall at the fair. Was a good day though extremely cold! He is one of my housemates’ cats (his sister is called Rose who I have introduced before – they are guns and roses fans, lol). 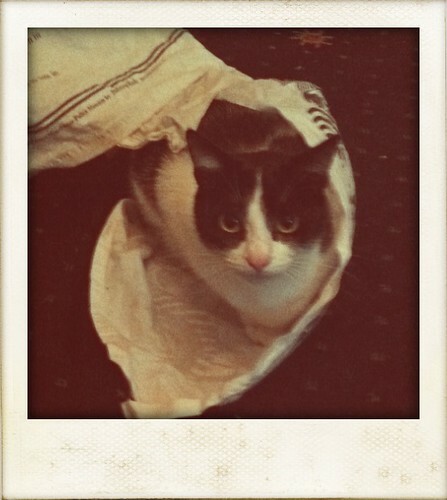 He is a rather odd fellow who likes bags, the smell of shampoo, stretching into the weirdest positions and purring extremely loud. 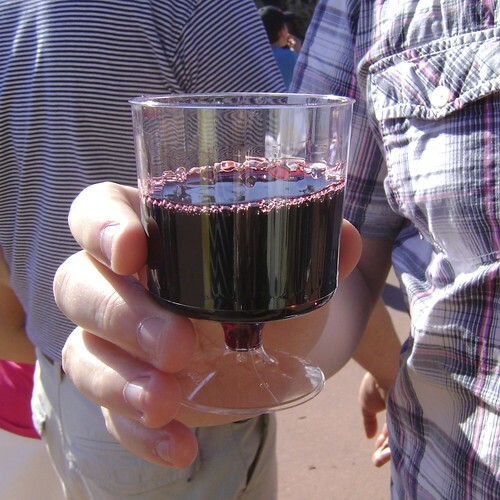 Continuing on from Part 1, here is what the bf and I ate and drank on day 2 of our adventure to the Epcot Food and Wine Festival. First stop, the Caribbean! 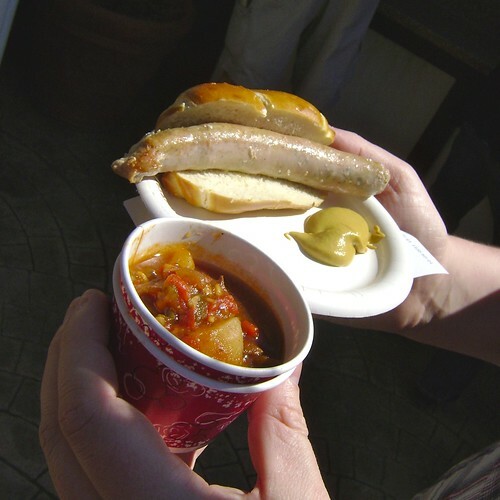 I enjoyed but was not so keen on the spicy kick as I am a wimp. 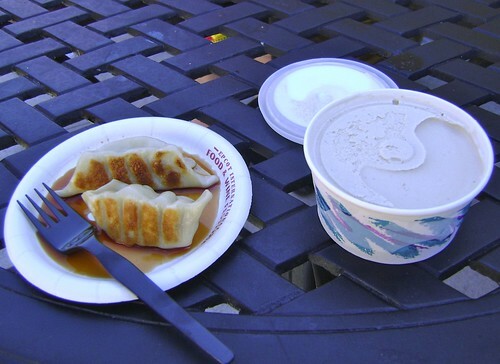 As I cannot eat the creatures that go oink, the bf sampled the pot stickers which meant the ice cream was all mine! It was amazing! There were actual bits of ginger in it. 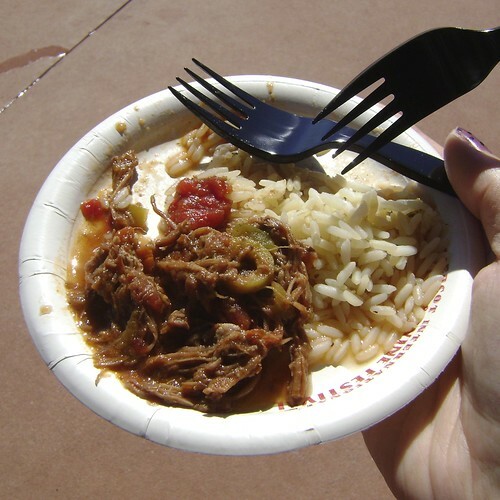 Good thing the China pavilion at Epcot seems to always sell this as I will be going back for more in the future. 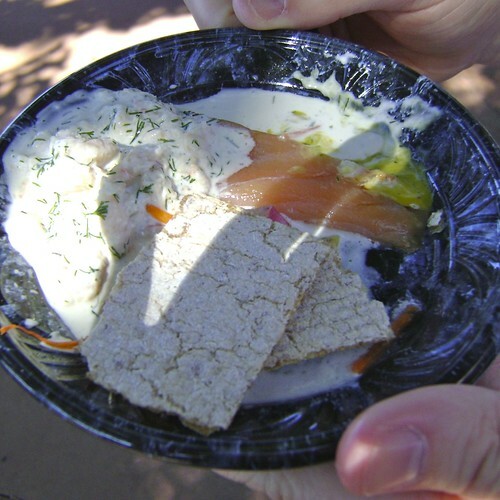 I have to say that this was my least favourite food out of everything we tasted. 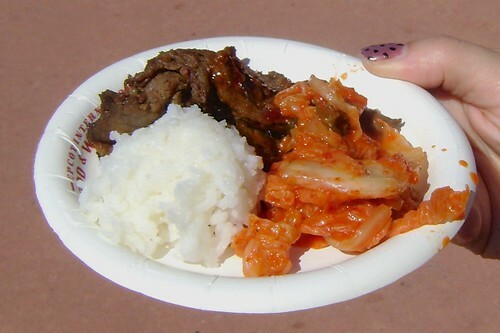 The beef and rice was good, but the kimchi (cabbage) let it down for me. 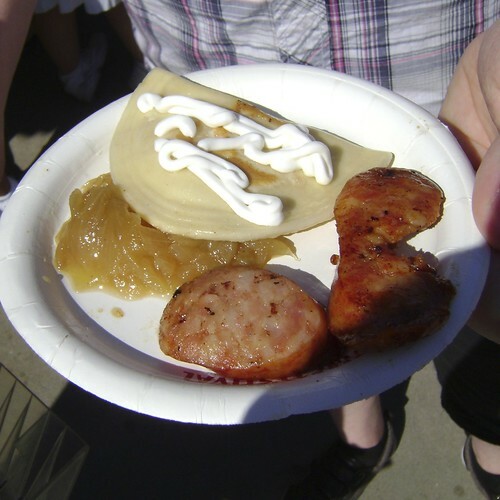 I’m not a cabbage fan generally but the sauce wasn’t to my taste. 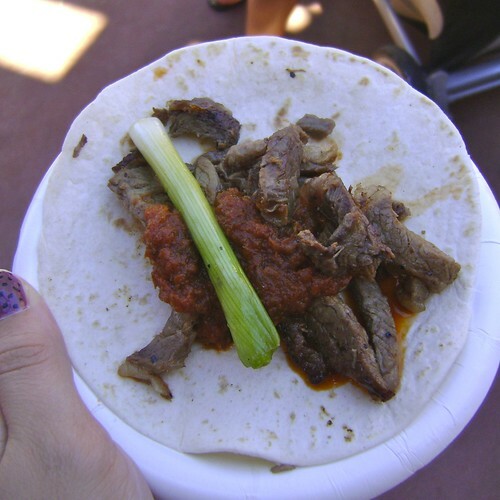 This beef was so incredibly cooked it was amazing! 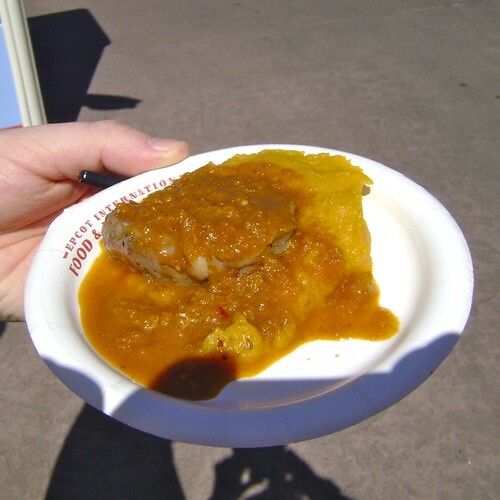 The sauce and sweet potatoes was really interesting too. Biscuit, chocolate and sweet ricotta cheese, that’s all you need to know. 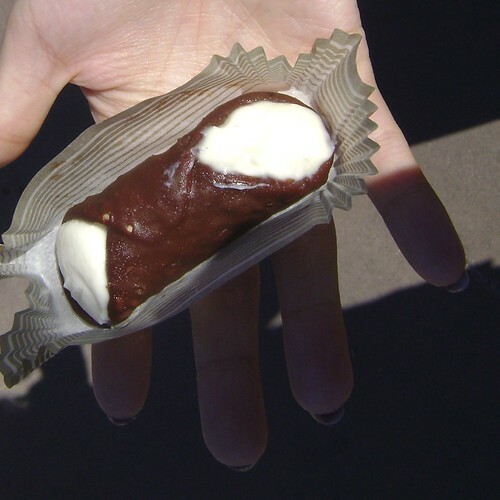 These bad boys were so incredible, we went back two more times to get more. I am craving one so bad right now! Another pig fest but the potato thing was nom. My faith in South Korean cuisine was restored with this little glass of wine. I have never tasted any wine that is as nice. Even the bf who isn’t really a fan of wine kept stealing it off me. You could clearly taste the raspberry. Delicious! That’s all we had on day two, but stay tuned for the final short and sweet Part 3. The first week of the new year was a rather nice one for me. Saw some friends from my old work on Monday, went back to work and had a lovely Nandos meal with the bf where shock horror, I didn’t order chicken! 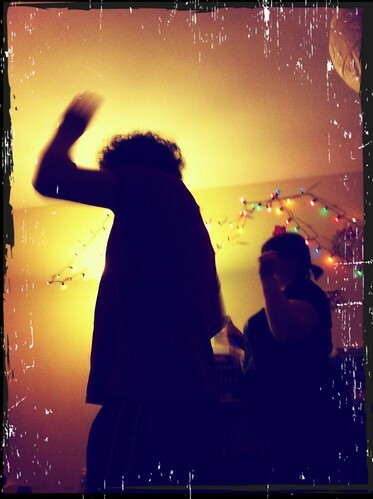 I like playing Just Dance, but what I find even better is watching my bf and his housemate play it. Hilarious. He tries so hard and she puts in no effort and beats him! 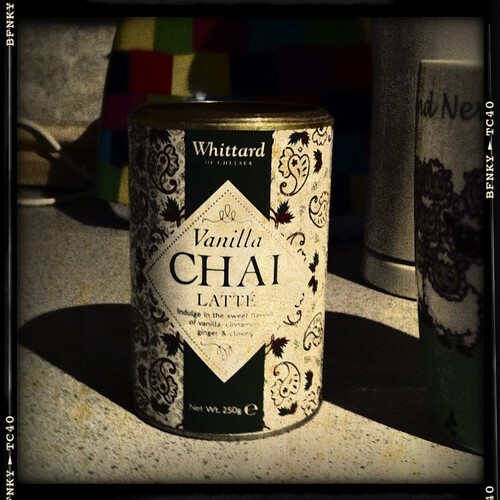 This Vanilla Chai Latte from Whittards is officially nom. Was a bit of a impulse purchase as I was only in there buying some more mulled wine tea because it’s only seasonal, but it definitely paid off. So yummy! 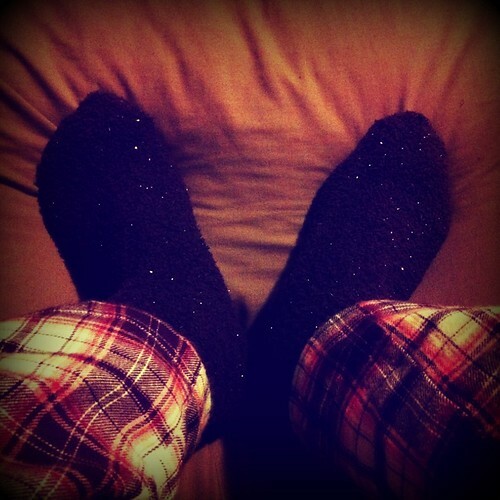 Finally got me some fuzzy socks which I have been after all winter. They are purple and sparkly which makes them the ultimate winter socks for me! A bargain from Primark for a pound. I may have binged a bit in there on Monday after saying goodbye to my friends. Might have got the matching necklace as well (also a pound!) but don’t worry – I won’t go wearing them together. 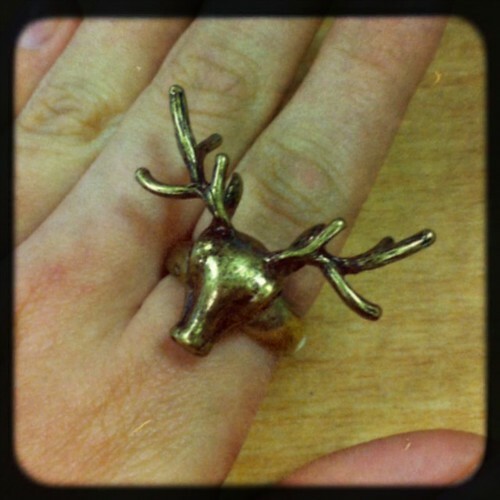 Stag overload! 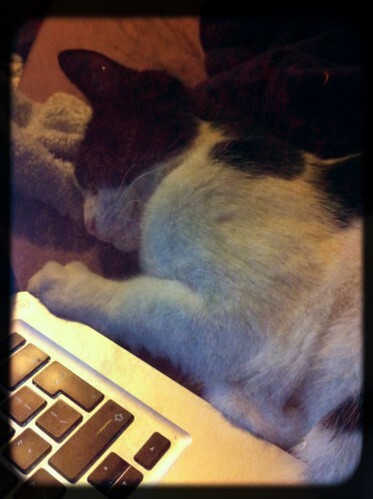 Was kept company the other night by none other than Rose, one of my housemates cats. How cute is she? Looks like she’s smiling. A quick peek at the jumper from my Primark binge. 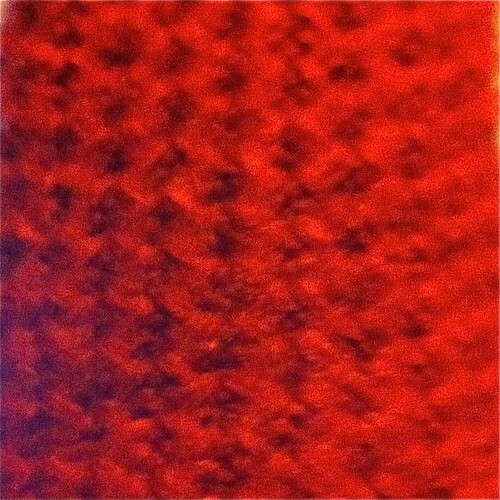 It’s a waffle knit and is a gorgeous rust colour. It is sooooo soft! Rose again today having some fun with a tea towel. 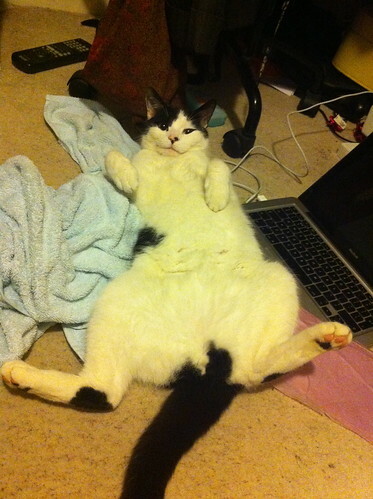 Cats are so funny. Can’t wait to get one of my own. 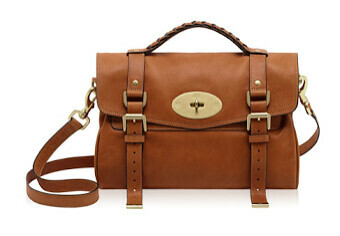 The Mulberry bag is my ultimate. The kind of bag I desperately want, but can’t really justify spending the amount of money I would normally spend on a holiday or at least 3 months rent (and my rent is cheap!). I can dream though. This lovely is £795. I will know I’m rich when I do eventually buy one. 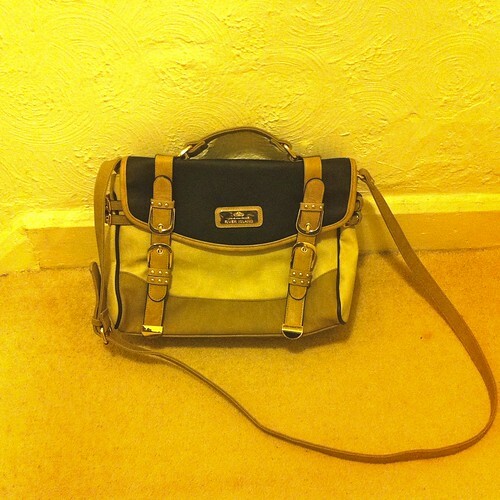 For now, I will have to make do with my River Island satchel. I do love it though. Only £35! Apologies for the yellowy photo. Bad lighting being winter and all. Bring on the sunshine!